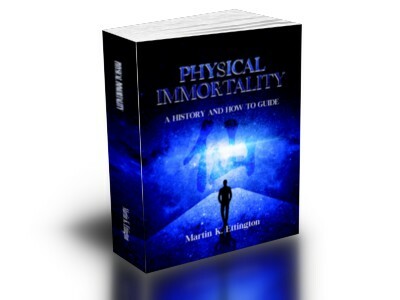 Covers the history of Immortality, long lived persons, and how to become physically immortal. Goes into Spiritual, Energy Body, and Physical bodies. Provides practices, exercises, advice, and supplements to live a long life. There are no limits to the length of your life if you adopt certain spiritual practices, exercises, and supplements. I had an experience at age four where I met a man at a glider field and for some reason I said to him “Are you the man who never dies?”. He didn’t laugh at me but gave me a very strange look. I’ve since learned that an immortal 500-1000 years old supposedly lives in that area. When I started reading books about highly developed adepts many years ago, the books also mentioned spiritually advanced immortals who lived many lifetimes. This was a fascinating idea to me and fueled my interest in the subject since then. Over many years I’ve read books and websites on immortality, learned many spiritual and energy practices, and I finally came to a theory of immortality which has been validated by much of what I’ve learned. This book goes into the history of Immortality, shows many examples of very long lived persons, then presents the theory and practices of how one can extend their life indefinitely. Some of these Chapters provide Spiritual Practices, exercises, and supplements to help you live forever. Advice is also given on attitudes and abilities to avoid accidents to help you in your quest for immortality. Kentigren, 185, died 5 Jan. 600 A.D. in Scotland. Thomas Carn, died age of two hundred and seven years. 2) Much of the source material I used gives similar reasons for how to extend life indefinitely. 5) As a long term student of enlightenment I know that a long and healthy life is linked to a person’s spiritual enlightenment. 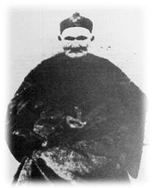 5) Am student of oriental practices such as Qi-Gong and other energy enhancement techniques. 6) As an engineer I’m used to analyzing data and making conclusions based on it. Does Physical Immortality really exist? And is it only for a chosen few or can anyone become an Immortal? The Reality is amazing and in many ways more simple than you can imagine. The concept of the Spiritual development exercises and physical exercises is that they help increase the synchronization of these bodies. Also, by bringing the absolute peace and stillness of the Spirit down into the Energy and Physical bodies you increase the perfection and health of those bodies. This is since in the normal course of events the stresses of our life cause more randomness or entropy in our energy and physical bodies. Immortality: A History and How to Guide is a great value since it is a much more extensive study of this subject than anything else on the market. I also provide much more practical advice on how to extend your life than anyone else. Other books that provide anything similar sell for $67 USD or more. My book is a bargain compared to them especially considering what you get. to the value of this material. You should buy now before the prices double. Want in Depth Training on Longevity to learn how to live Decades longer?